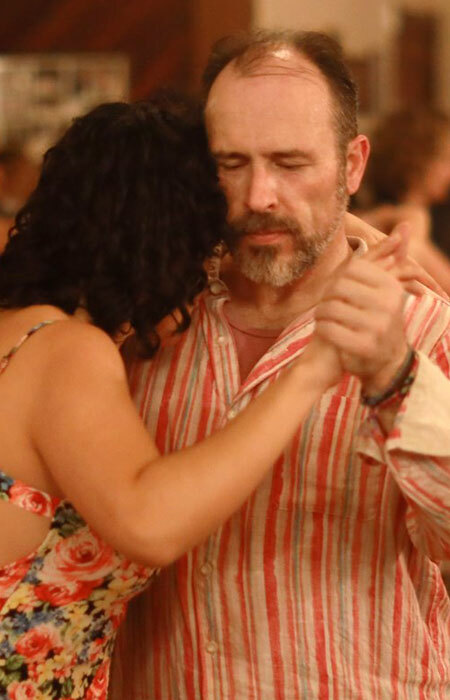 A relaxed tango social over 5 days with friends old and new. Less frenetic hours than a typical marathon, yet more opportunities to dance with your old friends and make new ones. Where will Tango Holiday take place? In the historic and charming Colvin Run Dance Hall in the suburbs of Washington, DC. When can I register for Tango Holiday? Registration will open at 12:00 noon EDT on Wednesday, August 8. Will the number of registrations be limited? Yes, because of space/seating limitations, registration for Tango Holiday will be limited to 160 dancers. Will Tango Holiday be role-balanced? Is registration open to public? One of the couple has to be from the Washington DC area (includes all of the beltway, immediate suburbs, Baltimore, Annapolis - anywhere within a 60 mile radius from DC) (meaning their tango home is the greater Washington DC area). The other person in the couple has to be from at least 100 miles away from DC (meaning their tango home is not the Washington DC area). OK, that accounts for only 80 of the 160 slots. What about the other 80 slots? The other 80 slots will be filled by staff (DJs, volunteers) and friends from DC and beyond to ensure balance and diversity (geographic, demographic, experience, etc.). No. To ensure role-balance and to not exceed venue capacity, no walk-ins will be allowed. Will it be possible to register for specific milongas/days? No. Registration is an all or nothing pass. How much is the Tango Holiday Pass? What does the Tango Holiday Pass include? Tango Holiday pass includes admission to all dancing over 5 days (8 milongas including the New Year's Eve milonga). Your information, your partner's information (first name, last name, email, city & state/country) and a method of payment for your registration. Once your registration is complete, both your spots are on hold for 72 hours until your partner completes his/her registration. What if my partner does not register within 72 hours? Your registration will be canceled and you will be issued a full refund (minus $6 USD paypal fees). You may cancel your registration for any reason before 11:59 PM EST on Saturday, December 1, 2018 for a full refund (minus $6 USD paypal fee). No refunds after December 1, 2018. What happens to my partner's registration if I cancel? Your partner will have to find a replacement (subject to the same conditions as listed above) in 72 hours after cancellation. What if I succeed in registering but my significant other does not? Let us know and we will try to accommodate your request. It is not our intention to separate couples but to get a diverse mix of people from DC and beyond. Will you be serving food at Tango Holiday? Yes. We will be serving lots of snacks - sweet & savory, healthy & decadent - throughout the event. Water and coffee will be provided as well. How will I know if I will have a good time at Tango Holiday? Tango Holiday is a LONG and relaxed weekend of dancing - drawn out over 5 days! With limited registration and no walk-ins, you will see a finite set of dancers during Tango Holiday. If your idea of a good time involves dancing around and socializing, you are VERY likely to have a GREAT time dancing tango during the holidays!